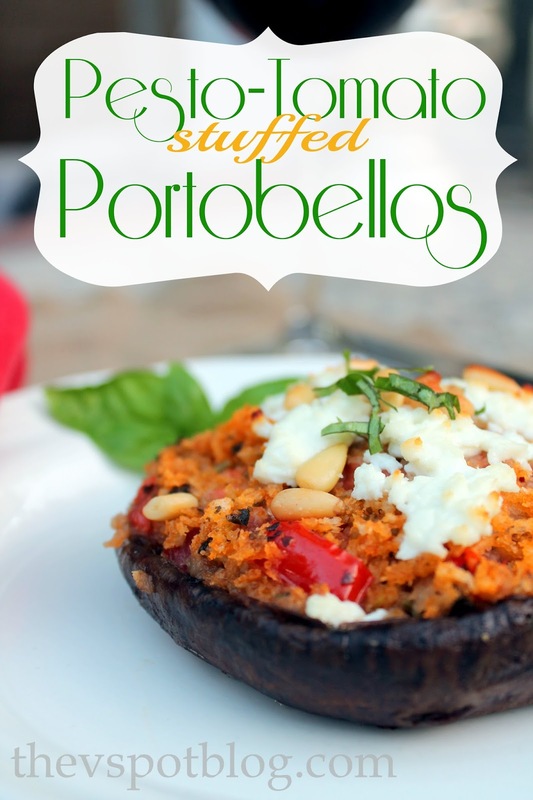 I got a great deal on some Portobello mushrooms… hence today’s post: Pesto, Tomato & Goat Cheese Stuffed Portobellos. 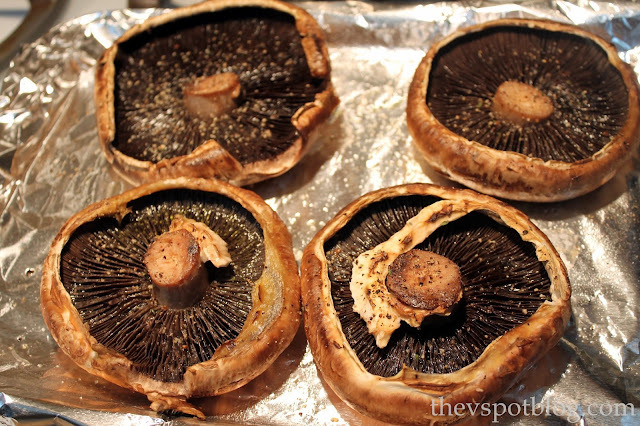 Take your portobello caps and drizzle olive oil on them, top and bottom, and place on a foil lined baking sheet, gill side up. Drizzle with balsamic vinegar, (about a tablespoon per cap) then sprinkle with salt and pepper. Place in a 400 degree oven for about 5 minutes. 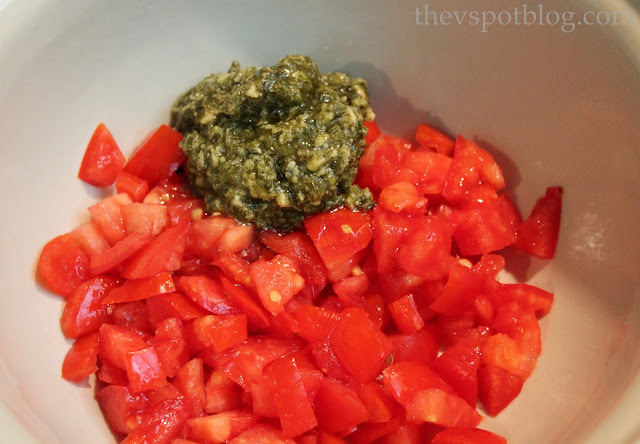 While the mushroom caps are in the oven, combine the pesto, tomatoes, and panko in a bowl. I add more fresh cracked pepper here, but that’s up to you. 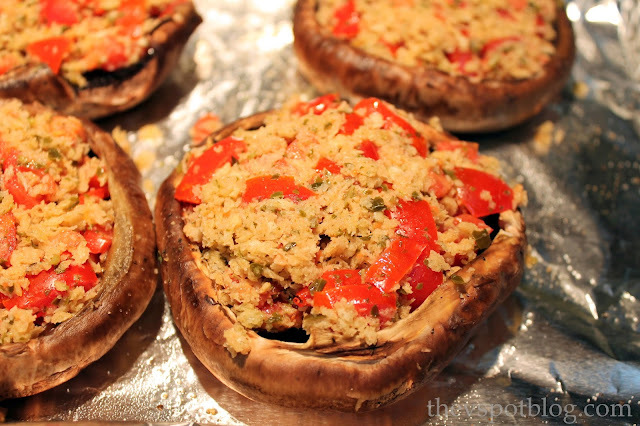 Pull the mushrooms from the oven and fill the caps with the tomato-panko mixture. 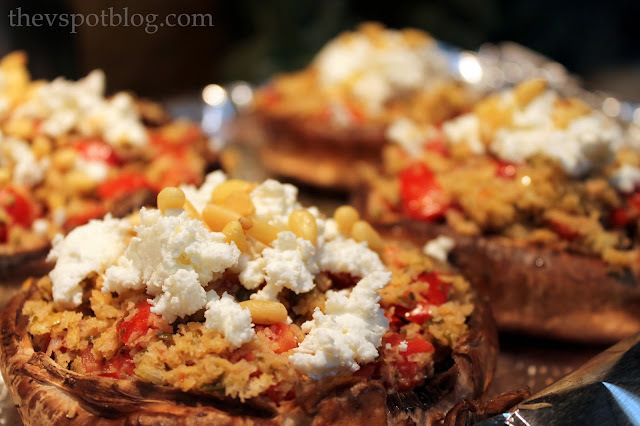 Top the stuffed portobellos with the goat cheese and pine nuts and return to the oven for another 5 to 10 minutes. I wish I could give you a set time to leave them in the oven, but you’ll kind of just need to keep an eye on them. 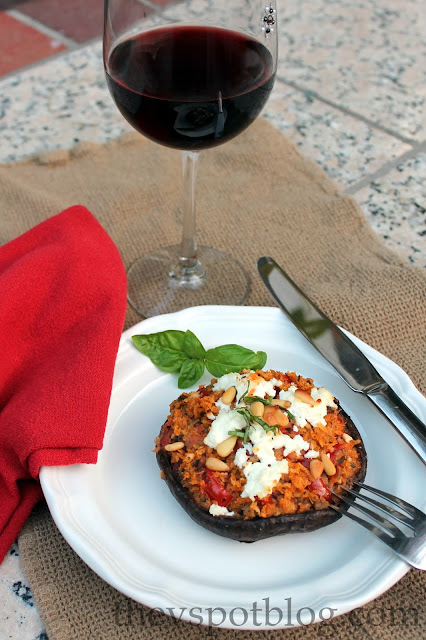 When they’re done roasting, a few snips of fresh basil over the top and a nice glass of red wine… yum! Mangia! Bene! Play around with this… stuff these babies with whatever you have on hand. It’s hard to go wrong with a beautiful portobello.